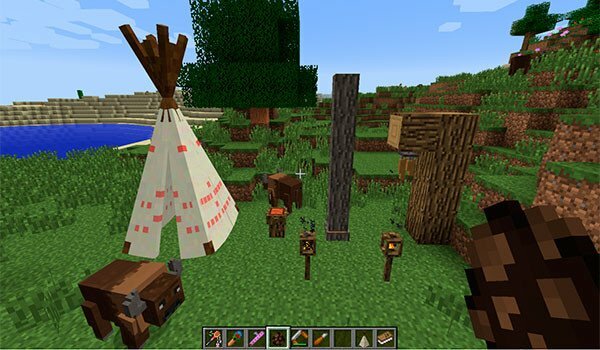 Native American culture, totems and nature how base in Minecraft. Totemic 1.7.10 is a mod based on the generation of totems, Native American culture and landscape. The objective of the mod is to create totems that will give us passive effects to all those players who are in or near the range of the totem. Although the totems are cornerstones for passive effects, dancing around the totem they are necessary and sound musical instruments in the area to get to our powerful effects altered character Minecraft. It is advisable to craft a guide that adds the mod, which will guide us in the development of the various options offered. How to install Totemic Mod for Minecraft 1.7.10? Paste the mod downloaded file into .minecraft / mods folder. Totems and rituals to get altered powerful effects!